As we recently reported, Red Dead Online’s in-game economy is a bit of a mess. Earning money is difficult, with the cash paid out by missions being barely enough to cover basic stuff like health items and horse feed, and the value of items doesn’t make much sense – a gold ring sells for $1.10, while a can of beans costs as much as $1.50. 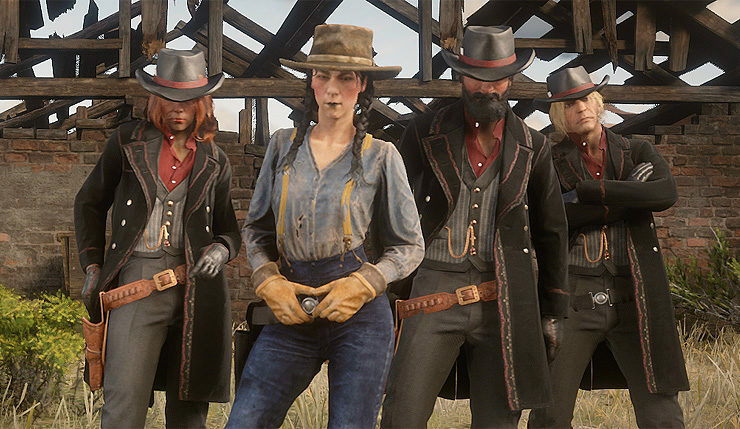 The game’s premium currency, Gold Bars, are even more grindy – fans on Reddit have estimated it takes around eight hours to earn a single bar. “Thanks to everyone who has participated in the Beta so far, we appreciate your help in testing the game! Your feedback from these early days will be instrumental in helping formulate updates to every aspect of the experience. Our current areas of focus include the in-game economy, which will require some additional balancing in order to ensure all activities are rewarding and fun, as well as some persistent bugs that are causing some players to be kicked from sessions. Hopefully Rockstar really takes the concerns of their fans to heart and makes some significant changes to Red Dead Online’s economy. Considering how badly Rockstar overplayed their hands, just lowering the price of beans probably isn’t going to cut it. Red Dead Redemption 2 is available on Xbox One and PS4. There’s no announced end date for the Red Dead Online beta – Rockstar is essentially taking an early access approach, and may continue testing the mode into 2019.